THE STELLENBOSCH Wine Live presented by Pick n Pay debut in Jozi. 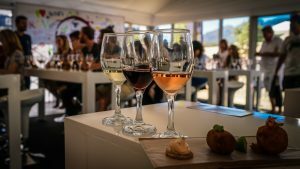 What to expect at the Stellenbosch Wine Live presented by Pick n Pay from Oct 5 to7 2018? With over 40 Stellenbosch wine farms on offer, it begins from October 5 to 7 at the Wanderers Club, Illovo. Initially started in the Western Cape, Joburgers will get an opportunity to show-off what Spring season means –sans bermudas and shorts! 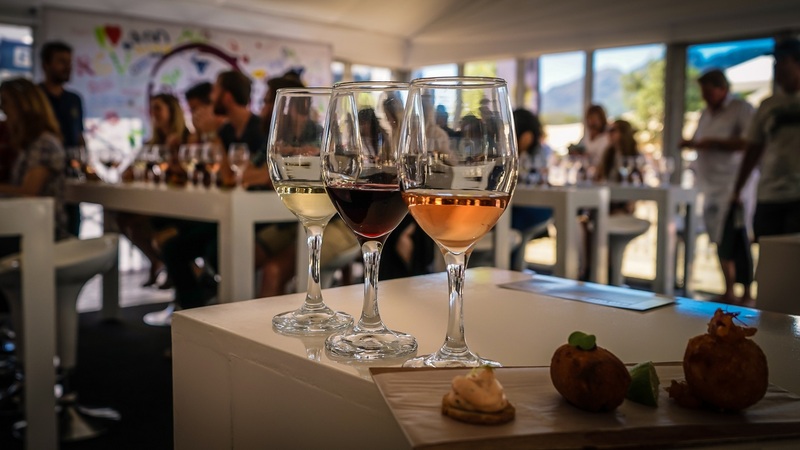 The wine fest is an opportunity to meet Stellenbosch’s top winemakers and purchase wines at cellar prices. Also to feature includes shaded seating areas, a gourmet food lane offering a range of delicious food for purchase and live performances. Pick n Pay Wine Club members will have free access to the Pick n Pay Wine Club Tasting Room for exciting food-and-wine pairings. The Wine Club is a free-to-join club that’s open to anyone who enjoys a great bottle of wine at an affordable price. Members receive 20% off 10 great wines every month, in addition to exclusive offers, competitions and event invitations. The Bellevue Wine Estate is situated in the prestigious Stellenbosch wine growing region. The venue boasts an original Cape Dutch homestead built in 1803. The wine estate is most famous for their Pinotage, which the farm has been producing since 1950. Beyerskloof lies in the heart of one of the world’s classic red wine areas, Stellenbosch, in the Cape Winelands. At Beyerskloof their passion is Pinotage. Villiera is a family run winery and for over 30 years the family have been unlocking the marvels of nature to create the distinctive wines and sparkling wines that bear the family name. They specialise in Cap Classique and have a strong reputation for Sauvignon Blanc, Chenin Blanc, Merlot and Cabernet Sauvignon. A family-owned wine estate located on the slopes of the Bottelary Hills in the acclaimed Stellenbosch region. The wine estate is home of the world’s best Shiraz. Mooiplaas Wine Estate & Private Nature Reserve is a winery, vineyard and nature reserve situated in the Stellenbosch wine district. Owners Tielman (viticulturist) and Louis Roos (winemaker) are passionate about farming friendly towards nature and producing a range of top-quality wines. Fourt-generation family-run wine estate, with vineyards overlooking Table Mountain. Danie Steytler has been making award-winning wines since 1980. The estate is now entering its 60th year as a family business. Their flagship range is the Steyler range: Pinotage and a Cape Blend. Remhoogte Wine Estate is a family owned and run winery on the slopes of the Simonsberg. The farms fine wines are enjoyed while admiring the beautiful Stellenbosch Mountains and the wild life camp stocked with Zebra, Black Wildebeest and Springbok. Lievland is a family-run wine estate, which dates back to 1715. The estate boasts an underground maturation cellar with a capacity of 300 tons and a private vinoteque with capacity for 9 000 bottles. Situated between Paarl and Stellenbosch, Le Bonheur still prides themselves on hand-sorting all their grapes, which they believe is the reason their wines keep winning international awards. Simonsig is a family owned and managed wine estate, run by the Malan brothers. The Simonsig wine estate was the first South African producer of Methode Cap Classique and co-founder of the Stellenbosch Wine Route. The dream of “Deux Frères Wines” commenced in 2008, when Retief and Stephan du Toit decided after much soul-searching to develop a boutique vineyard on Le Present Farm, which is situated on the foothills of the Simonsberg Mountain near Stellenbosch. Proudly South African with a touch of French flair, L’Avenir is a boutique wine estate nestled in the foothills of the Simonsberg Mountains. L’Avenir focuses on producing elegant wines targeted at the heritage of Chenin Blanc, while embracing the innovation inherent in Pinotage. Established in 1912, Bartinney has been in the Jordaan family since 1953. The farm is owned by Rose and Michael Jordaan who tend to the 28-hectare farm, who share a vision to create excellent wines and reawaken the charm of the historic land. High on the slopes of the Simonsberg Mountain lies the family-owned Delheim estate. The estate produces a range of award-winning wines, led by the majestic Grand Reserve, which since its release in 1981, and has been honoured with much prestigious recognition. Mindful that no single vineyard can satisfy the needs of all grape varieties, Neil Ellis set out to identify distinct terroir in which individual varieties would excel. After four decades of making wine, the next stage of the journey has begun with Neil’s son, Warren, sharing responsibilities of winemaker and viticulturist. Warwick Estate is a high-end South African winery with a rich history dating back to 1771. Their flagship wines are Cabernet and Chardonnay. Murati is tucked into the exquisite Knorhoek Valley north of Stellenbosch, and dates back to 1685. Under the stewardship of Rijk Melck and his family, the farm strives to protect a century’s old wine experience and draws wine lovers from all around the world. Lyngrove Estate is surrounded by the majestic Helderberg Mountains and produce an exceptional range of wines under the Lyngrove label. The Walker family has owned Grangehurst since 1973 and focus on producing Cabernet Sauvignon, Pinotage and Merlot, all from their own grapes. Cavalli’s Wine & Vineyard’s philosophy is to produce world-class wines with a local character and a strong identity. This is so they are clearly recognised as being from the Helderberg region. They also strive to be the benchmark with regards to terroir. Lourensford Estate was established in the 1700s when the then Governor of the Cape planted vineyards and fruit trees. Vineyard plantings began in earnest again in 2000 and the ultra-modern winery was erected in 2002. For the past 18 years, Ernie Els Wines has been producing some of the finest Cabernet Sauvignon and Cabernet-based blends in the Helderberg region of Stellenbosch. The vineyards, situated on the northern slopes of the Helderberg Mountains, are planted on ancient, decomposed granite soils, consisting of deep fertile Oakleaf and Tukulu profiles. This, coupled with the cool sea breeze, result in a unique and extremely sought-after terroir. In 1981, Hermann Gebers bought the farm which is now known as Post House. The property boats a total of 71 hectares of which 38 hectares is vineyard. Cabernet Sauvignon, Merlot, Shiraz, Petit Verdot, Pinotage, Chenin Blanc, Sauvignon Blanc and a sprinkle of Viognier are the wines in which the specialise. The Forrester family bought the Scholtzenhof farm in 1993, restored the 17th century homestead and replanted vines. The farm boasts 40 hectares and roughly 36 hectares being under vine. They are best known for their Chenin Blanc. Every bottle of Flagstone wine is a journey with many twists and turns. Flagstone is a winemaker-driven wine business, who believe in the grape first. Waterford Estate was created through a very special partnership between two families who had a shared dream to create a wine farm where life is cherished, the seasons mark time and the fruit always reminds one of blessings, abundance and the beauty of nature. Stark Conde Winery is nestled in the Jonkershoek Valley. The elevation of the vineyards alters from 150 to 600 metres which yields itself to various areas, each ideally suited to different grapes. The Cabernet Sauvignon and other Bordeaux varietals can be found higher up and are well suited to this elevation. Dornier is a family-owned and run boutique winery with a clear focus on the premium segment. Vriesenhof has a history dating back to the early eighteen century where its south-facing slopes are perfectly positioned to produce wines of a fine character. The estate has plantings of Cabernet Sauvignon, Cabernet Franc, Merlot, Pinotage and small block of Pinot Noir. Middelvlei is a beautiful vineyard-strewn Amphitheatre overlooking the Bottelary Hills and the upper reaches of Devon Valley. The maiden vintage of Middelvlei’’s flagship red wine, Momberg 2004, was launched at the end of 2017 end of last year and received a 4,5 star Platter rating. Overgaauw’s story is written in rich soil on a piece of land 90 hectares wide and four generations deep. David van Velden is the current owner and winemaker. He runs the farm with his wife and two sons. Tradition and Passion is what they stand for. The Clos Malverne Wine Farm is renowned for its classic flagship Cape Blends, and has plenty to offer for the wine and food enthusiast. Gary and Kathy Jordan have been making world-class wines at this top wine estate since 1993 on a farm with a history going back over 300 years. De Waal Wines, a wine farm dating back to 1682, owned by Pieter de Waal, this historic family legacy boasts nine generations of passionate winemakers. Situated west of Stellenbosch, veteran winemaker, Jacques Borman’s goal is to perfect the art of winemaking. Established in 2003 as a boutique négociant wine producer, The High Road has cultivated a considerable reputation amongst Bordeaux aficionados. Winemaking consultant Mark, has over 35 years’ experience in South Africa, the USA and Europe. Spier has an extraordinary history dating back to 1692. Spier prides itself in being a place of excellence around food, wine and art. Environmentally and community conscious the award-winning wine farm is a place of inspiration.